Opening of the Beaches Parade 2018 | Fernandina Pirates Club, Inc. 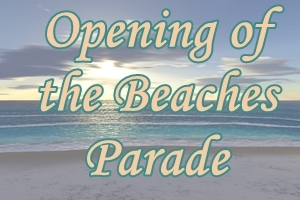 The 72nd Annual Opening Of The Jacksonville Beaches Parade will be held at 2:00 p.m., on Sunday, April 29, 2018. This is an amazing tradition with fun participants, great bands, amazing floats, and of course, member of the Fernandina Pirates Club and their ship, “Amelia’s Revenge”. Beaches, bikinis, bicycles, beach boards, and everything else you can imagine pertaining to fun in the sun will be featured at this awesome parade. Come on out and join the Pirates!